Hello everyone! My name is Aayushi. I am a Economics student at Indian Institute of Technology (IIT) Kharagpur, India. I interned at exiii this summer as a business intern. So, why Japan? Well, why not Japan? Japanese tradition and culture is something you won’t find anywhere else in the world. The politeness and humbleness in people and the eagerness to help someone is really something you won’t forget. This was my second time interning in Japan, which clearly shows how much this place has influenced me a lot. The train system is super convenient and they are really quiet. You can even sleep on your journey. The best part is that they are never late. Also as a woman, one of my biggest concerns was safety. Luckily in Japan, safety is not an issue. I can walk down the street late at night without any worries. The customer-oriented culture will make you feel like an exclusive person. Being lacto-vegan, I had only limited options, but if you are not picky, you can find a lot of restaurants to satisfy your palate. 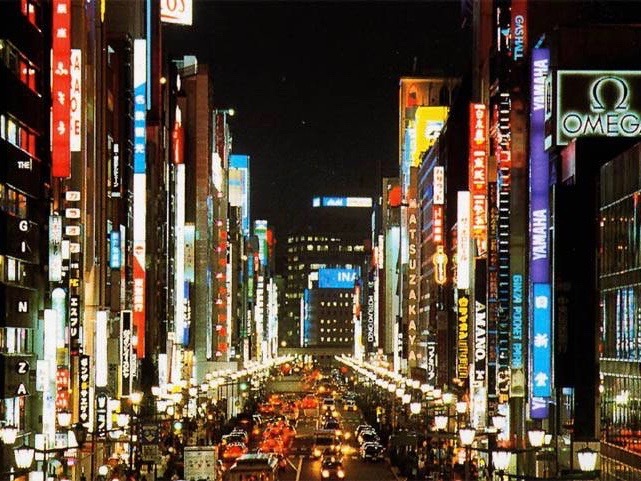 At night, Tokyo lights are perfect view to sooth your eyes. Ginza is like Times Square NYC. If you like urbanism and architecture, Japan is the perfect example of civilization that is mastering its environment and available space! At last, the weather is really pleasant here. Since India is really hot in summers, I am glad to have spent my summers here. As an intern for a large company, the exposure is often limited to the small portion that you’re working on directly. With hundreds of interns and thousands of employees, there’s no way to effectively expose yourself to all aspects of the business. But in an early-stage startup, time is valuable, and every team member is critical—including interns—so you get a clear understanding of the project. Interning in exiii was my first time working in a startup. I already knew the workaholic culture of Japanese people so I was prepared beforehand. But after coming here, I was surprised by the working environment of the company. 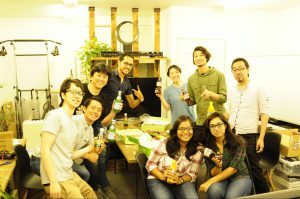 It was so welcoming and competitive, which motivated me to work hard every day. The work was so interesting and challenging that I didn’t keep track of time. It feels so exciting when you work among such creative people. As the company adopted multilingual culture, almost everyone can speak English. And as a foreigner, I didn’t feel an outsider. exiii is located in Nihombashi, Tokyo, which has beautiful view of Skytree. Inside the office was totally different from what I’ve imagined. We had around seven people working in the office. The space was nice and loaded with lots of headsets, gadgets, 3D printers etc. Every day, we had lunch together and had casual chat. 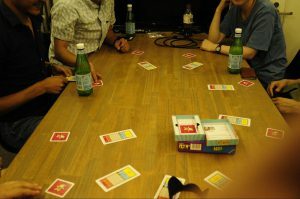 Also on every Friday, we played board games (My favorite game was Coyote) which was the favourite part of my internship because during playing, we put our position in office aside and simply enjoyed the game as one. Working in a startup is very different from working in a well established company. You will be working on the project alone and directly reporting to senior-level. You have opportunity to learn how to work with precision, to be responsible and to push your limits. I am glad I found this position on the website, otherwise I wasn’t able to work in exiii and experience a VR field. I would strongly recommend to join exiii and work here if you are interested in fast-growing startup culture. Click here!